If you've read any of my skincare posts recently, you'll know that I'm pretty obsessed with skincare at the moment, it's my passion, honestly. I love having fresh, clean skin because after all, this leads to a flawless base for make up application and there's nothing I love more than a natural, radiant, flawless skin base. 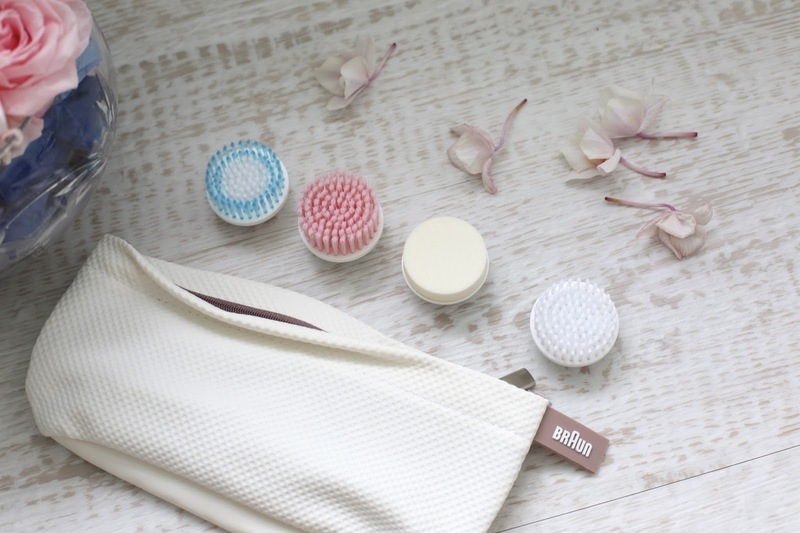 Over the last month, I've really got into my deep cleansing and face masks too, so I wanted to talk to you today a little bit about my new loves, in particular, a pretty special new device. Note to self: this is coming everywhere with me. 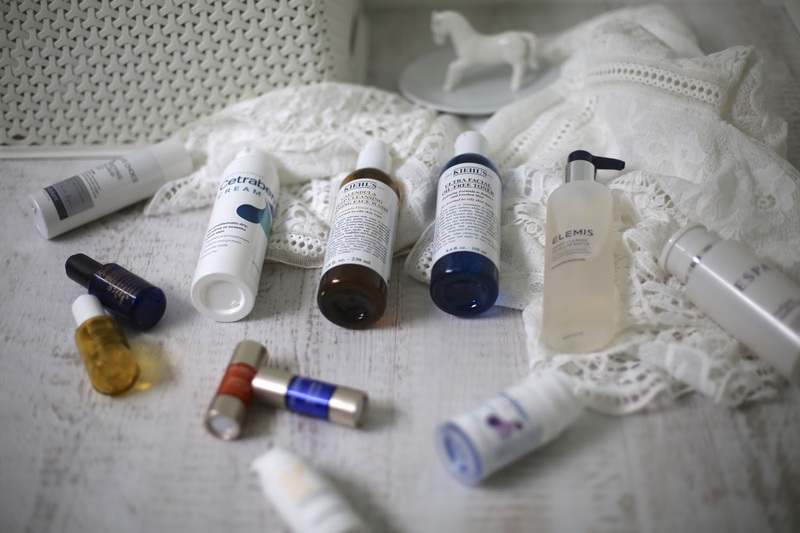 You may remember me mentioning that current skincare favourites include Bare Minerals Clay cleanser ­ for the softest skin ever (seriously), Elemis Micellar water, Ole Henriksen Sugar Polish Mask, L'oreal Clay Masks, Cetraben Lotion and Clarins Boosters. I really do have my favourites which most of you know about by now but today I want to introduce you to a little babe of a product which works perfectly with my favourite products. 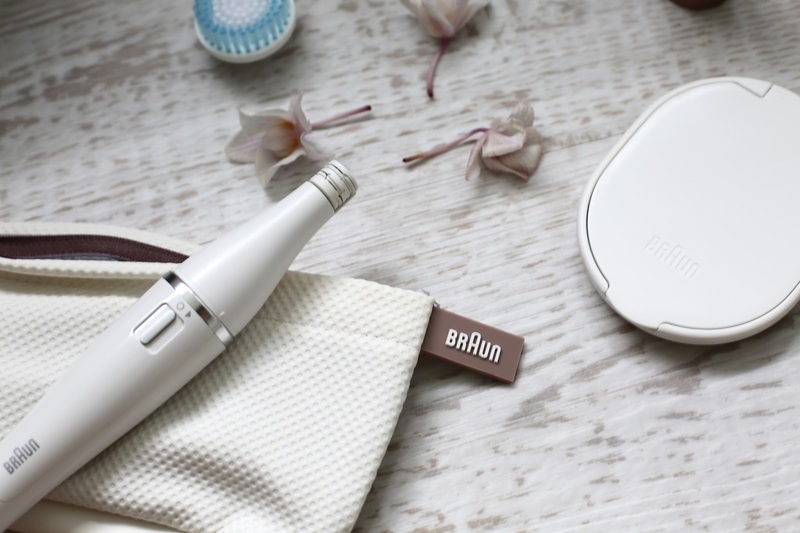 Introducing Braun's new (world's first) 2­-in­-1 facial device. A beauty must have, particularly if squeaky clean, flawless skin is your thing. 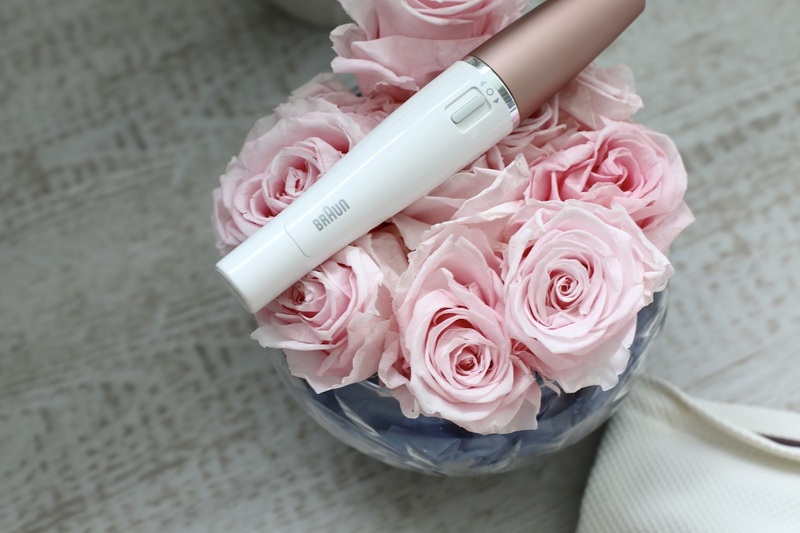 This is pretty epic, a little light­weight cleanser and epilator, perfect for travel, it deeply cleanses but also, epliates too. Perfect for making the base flawless, smooth and soft. Everything I've ever wanted from a product. CLEANSING ­- I've been putting my favourite cleansers (this month, it's BareMinerals Clay Cleanser) onto the cleansing brush to make sure I'm getting a deep cleanse before bed. It leaves my skin feeling squeaky clean as I usually feel like I don't properly remove all my make up. 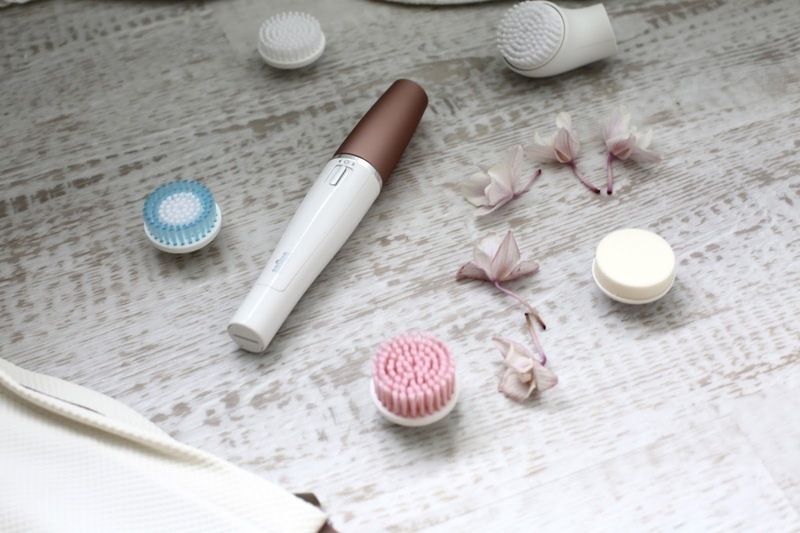 The brushes are designed to provide spa­ quality results in just a few minutes and apparently, this baby is 6 times more efficient than cleansing with hands alone. This comes with different heads too, so you can swap depending on what you want to do to the skin, whether it's exfoliation you need or if you have really sensitive skin, there's also a head for that. EXFOLIATION ­ Not only are the heads and the device itself the cutest, prettiest little things I've ever seen, they work too. Personally, I love the exfoliating head but I do love how easy it is to snap on and off different heads depending on your skins needs. I use the exfoliating head weekly to get rid of any dead skin cells and almost polish my skin. I personally think this works incredibly with my Ole Henriksen Sugar Polish Scrub, I put the tiniest bit onto the brush and I'm ready to go. It's like having a weekly facial at home. After exfoliating, I've been focusing on using a good face mask once a week and have seen the difference in my skin. MAKE UP APPLICATION ­ - Besides from the cleansing, there's even a head for make up application. Yeh, incredible, I know. I recently became addicted to beauty sponges for make up application as they give the softest, smoothest, even distribution of foundation but this beauty sponge head does the same, it's made with a foam surface and gives foundation the most flawless finish. EPILATING ­ - You switch a small switch and you're ready to epilate, it's really that simple. 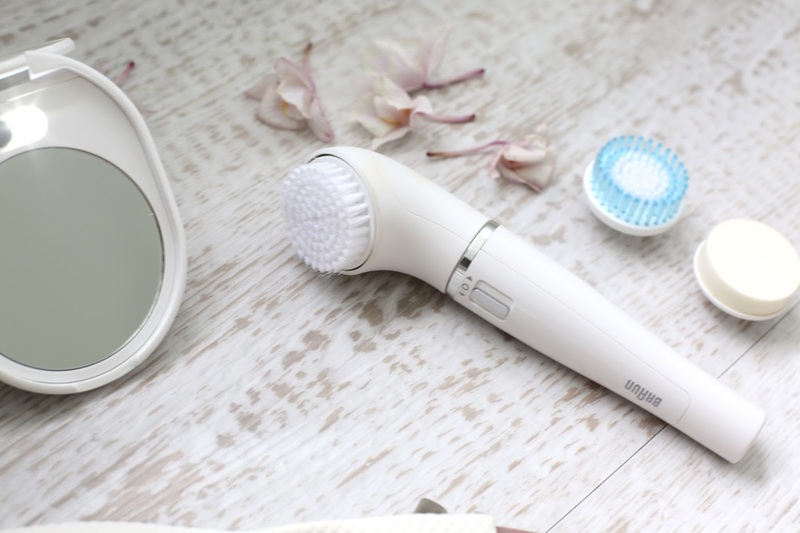 Not only is this beautiful piece of tech perfect for travel, perfect for cleansing, make up application and exfoliation, but it epilates too. Epilation is something that always scared me but it really doesn't hurt on the face. You take the head off and use the slim epilator head, it removes invisible hairs living precision on the eyebrows, upper lip and chin! I personally have used it on my upper lip and even my eye brows, I feel really confident using it because it's so precise. It has 10 micro openings which mean it gives super­precise epilation, removing hairs 200 times faster than with manual tweezers. Madness. I'd be lying if I said this wasn't an absolute essential for me right now. On a daily basis, my face is left feeling oily, dirty and I'm always tired from rushing around busy, polluted streets. It takes the brunt of my stress, my tiredness and city life. My favourite thing at night is taking my make up off, but properly taking it off ­ with this, you can still use your normal cleansers and exfoliators but sleep in peace knowing that this has quickly and effectively removed more make up than you would with your hands. I like that it doesn't restrict you product wise, but actually, gets the best out of your favourite products. I'm very impressed but mainly impressed that it only costs £69.99! For such a multitasker, I think that's pretty impressive! I know this will definitely be travelling everywhere with me! Have you ever heard of anything like this? Do you like the sound of it? 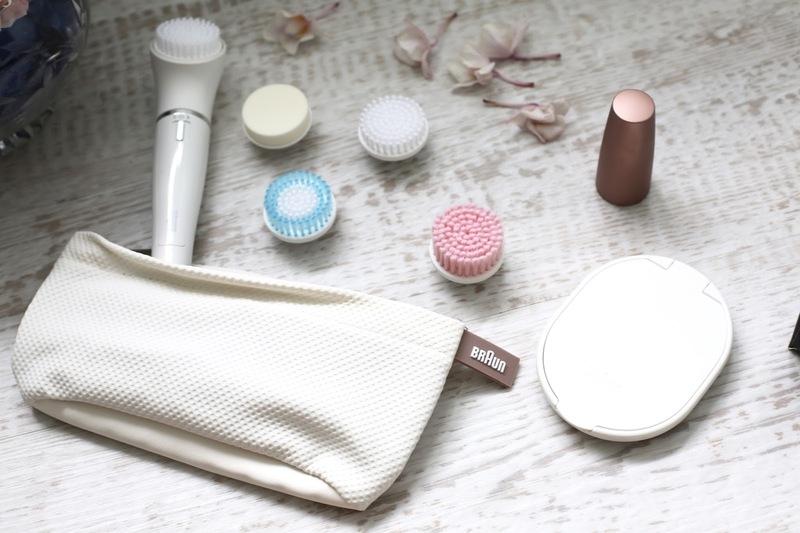 Do you use a cleansing brush? What are your top products for a flawless base and for the best cleanse? *I partnered with Braun for this but as always, it's 100% my honest opinion. 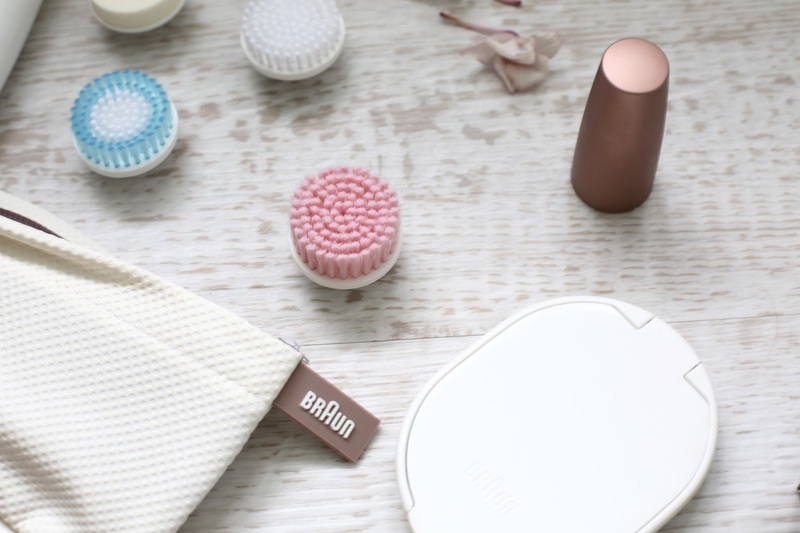 I adore Braun and this product!